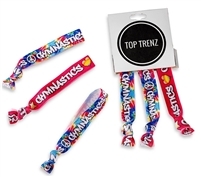 At Top Trenz, we have the most exciting sporty jewelry and sports-themed accessories for kids! From soccer and softball to gymnastics and ice skating, we have the hip jewelry for kids to show their love and dedication for their favorite sports. We have sporty duffel bags and backpacks perfect for transporting all your equipment. These bags are durable and stylish with plenty of options for shapes, sizes and colors. 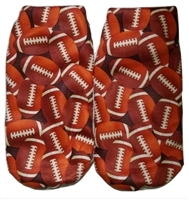 Check out our sports-themed fuzzy bathrobes for boys and girls to relax in after their big victory. We have sporty necklaces, watches, headbands and bracelets designed to look great with the ability to withstand frequent, rugged use. Our selection of sporty jewelry for tweens, teens and college kids has something for everyone to enjoy. This jewelry is perfect for birthday and holiday gifts, as well as a great way for teams to enjoy stylish, matching sports-themed jewelry. Shop around to enjoy our extensive selection with competitive prices and fast shipping or contact our team at 631-254-8499 for help finding exactly what you need.